Looks like it’s been awhile since my last post, so it’s time for a little catching up. The main reason for not having posted anything lately was my being out of town visiting a friend last week that will be the subject of another posting. 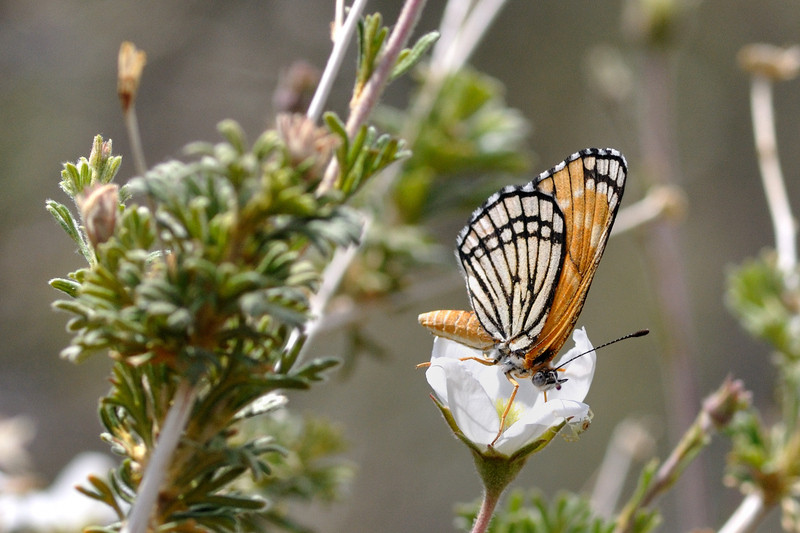 Meanwhile, here in Albuquerque, there have been some new critters, birds, and lots of new butterflies. 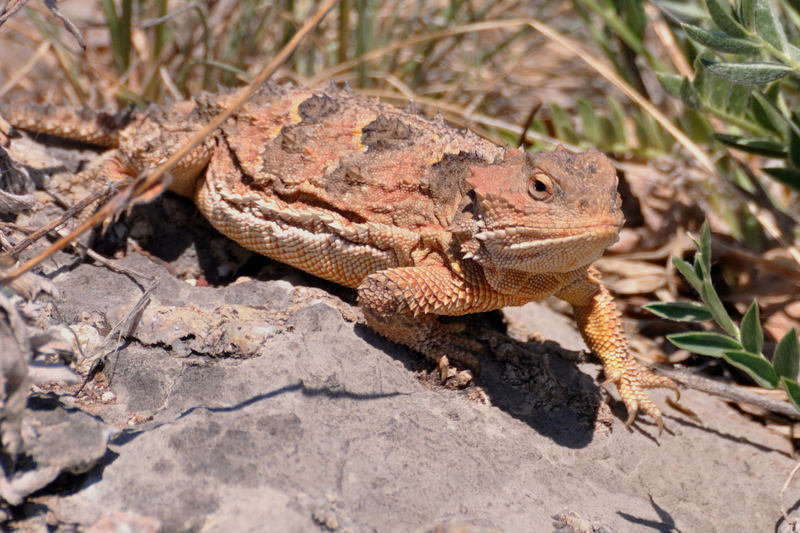 Among the critters was this very cool Short-horned Lizard (aka Horny Toad) we found at the very top of the Sandia’s yesterday, and the first I’ve seen there in almost 30 years. 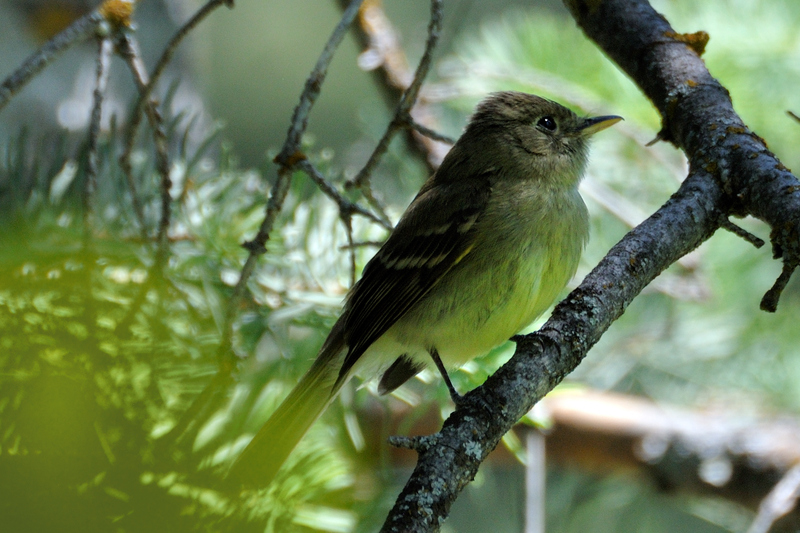 That trip also gave me a good look at a Cordilleran Flycatcher, nesting at Balsam Glade in the Sandias. 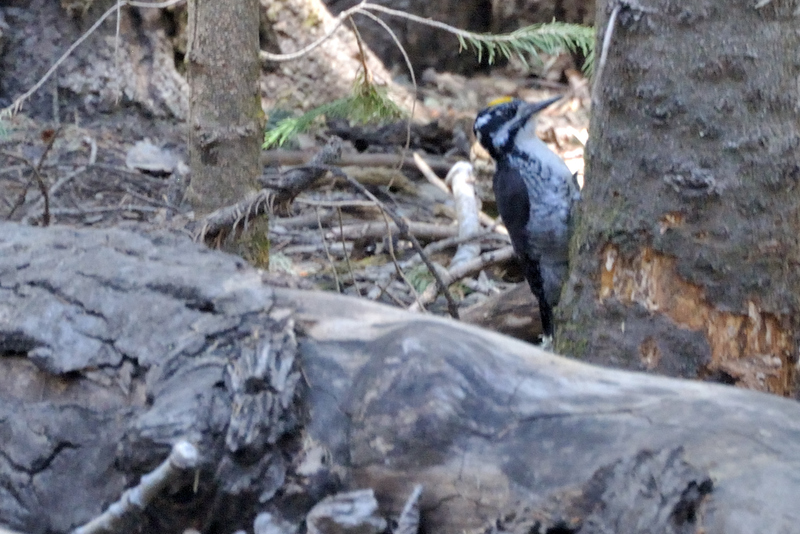 We also spotted the Three-toed Woodpecker just below Sandia Crest. Not the greatest picture because it was pretty dark and contrasty, but hey, it was a life bird for me – thanks, Matt! 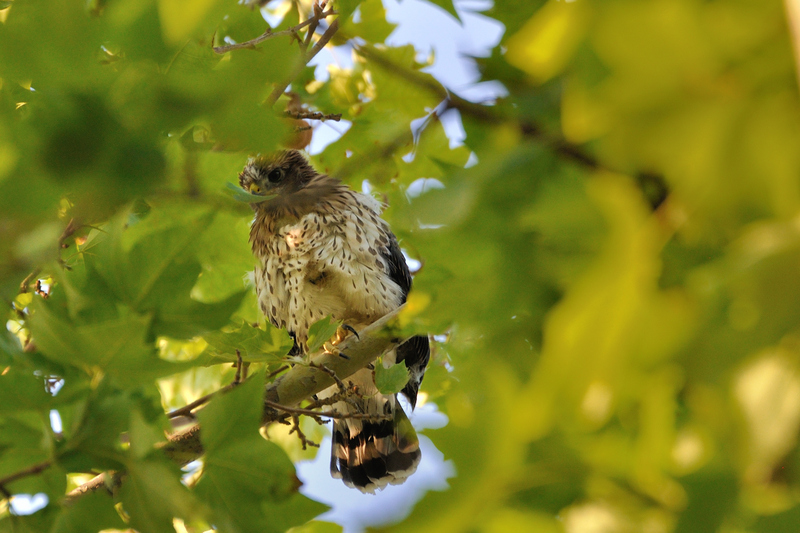 Earlier this week, before joining up with the Thursday Birder bunch up in the Jemez, Judy and I stopped by her Cooper’s Hawk nest to see that at least one has fledged since my last visit and was perched right by the nest keeping a close eye on things. 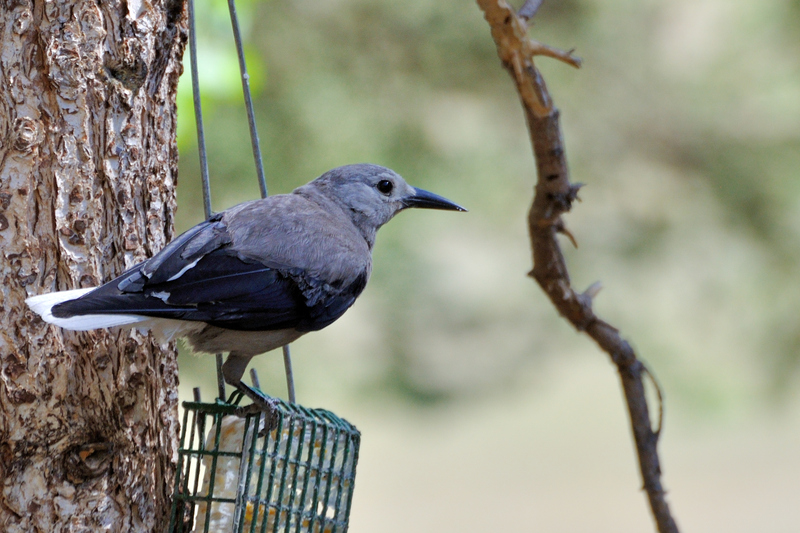 The Jemez trip produced a number of good birds, most at the feeders and a pond at a friend’s cabin we visited there. Williamson’s and Red-naped Sapsuckers, Band-tailed Pigeon, Red Crossbill, Pygmy Nuthatch, and this Clark’s Nutcracker were some of the visitors to his yard. 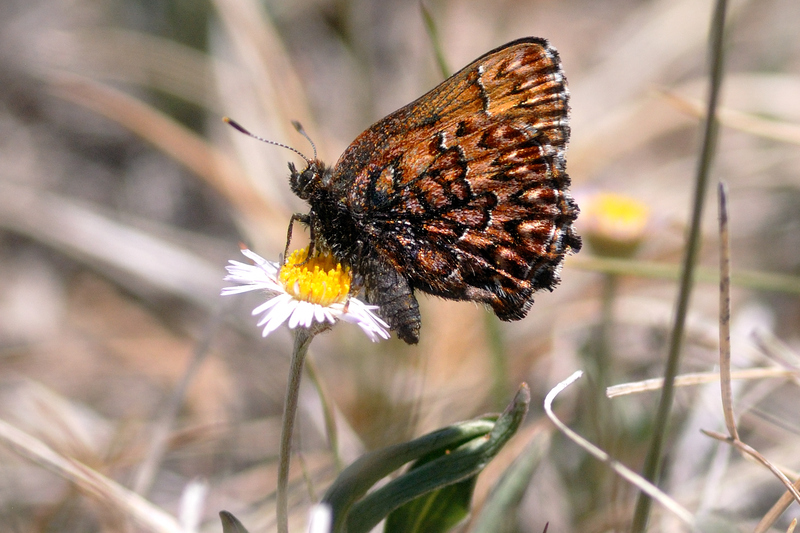 and the Fulvia Checkerspot in Embudito Canyon. Yep, this retirement deal is way better than working any day! 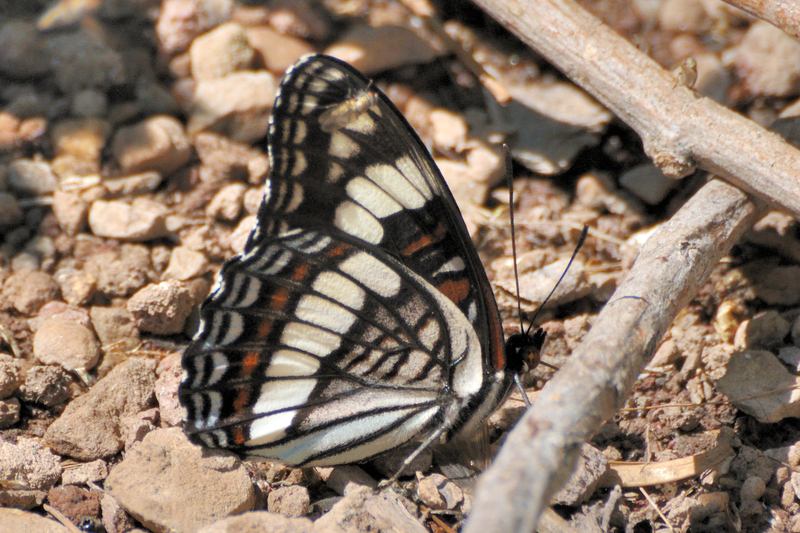 This entry was posted in Birding, Butterfly, Critters. Bookmark the permalink. Your pictures are wonderful, Joe.